"We Pride Ourselves In Excellence"
Welcome to our practice. When you visit our office, your smile and overall gum health are our top priorities. Dr. Amin, Dr. Shahi and their staff are committed to giving you the care that you deserve, and will make every effort to see that your experience is as comfortable as possible. We are dedicated to helping you improve upon and maintain your dental and periodontal health. Dr. Amin is pleased to announce that her daughter Dr. Rana Shahi joined her practice. They are excited to work together and learn from one another. 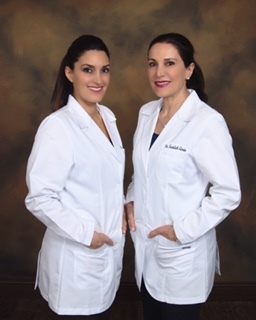 They are the only mother-daughter team of periodontists in California. Chatsworth Periodontist, Dr Farideh Amin DDS is a professional dedicated to excellence in Periodontics such as Periodontal Disease Diagnosis & Treatment, Scaling & Root Planing (Deep Cleanings), Periodontal Maintenance Cleanings, Pocket Reduction Surgery, Periodontal Antibiotic Treatments, Gingival & Osseous Grafts, Crown Lengthening, Dental Implants & more. Farideh Amin in Chatsworth, CA looks forward to helping you with your individual Periodontal needs.